Officers of The RCR (CEF) - Lt.-Colonel E.W. Pope, C.M.G. » Lt.-Colonel E.W. Pope, C.M.G. Lt.-Col. Edgar William Pope, C.M.G. First World War - Wounded. Despatches. 1914-15 Star, British War Medal, Victory Medal, C.M.G. Russian Order of St. Anne. Montenegrin Order of Danilo. D.A.A. & Q.M.G., M.D. 5, 1911. Staff Capt. 3rd C.I.B., C.E.F., 1914. Bde. Major Can. Training Bde., England, 1916. SUPPLEMENT TO THE LONDON GAZETTE, 14 JANUARY, 1918; Order of St. Anne, 2nd Class (with swords). - Major (acting Lieutenant-Colonel Edgar William Pope, Canadian Infantry, Headquarters, Overseas Military Forces of Canada. SUPPLEMENT TO THE LONDON GAZETTE, 9 NOVEMBER, 1918; DECORATIONS CONFERRED BY HIS MAJESTY THE KING OF MONTENEGRO. Order of Danilo, 2nd Class. - Lieutenant-Colonel Edgar William Pope, Canadian Forces. SUPPLEMENT TO THE LONDON GAZETTE, 3 JUNE, 1919; Additional Members of the Third Class, or Companions, of the said Most Distinguished Order of Saint Michael and Saint George. - Lt.-Col. Edgar William Pope, Nova Scotia R.
A.A. & Q.M.G., M.D. 5, 1924. A.A. & Q.M.G., M.D. 4, 1 Oct 1928. 17 Jan 1931; A.A. & Q.M.G., M.D. 11. 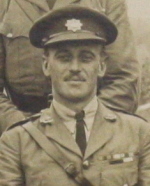 19 Feb 1934; Lieut.-Col. E.W. Pope ceases to be seconded. 31 Mar 1935; Having been declared medically unfit for further service and placed on the Retired List. It is expected that 2nd Lieut John H.W. Pope, le Regiment de Maisonneauve, will be attached to "C" Company, London, in the near future with the object of taking the Long Course next year preparatory to appointment to a commission in the Regiment. Mr Pope is a son of Lieut-Colonel E.W. Pope, C.M.G., and will be remembered as a youngster at Valcartier Camp in 1920. POPE, Lieut.-Col. Edgar William, C.M.Q. 1919 (retired); b Ottawa, Ont, 29 Sept 1887; s Sir Joseph, K.C.M.G. and Henriette P., e. d Chief Justice Hon. Sir H. T. Taschereau; his paternal gfather Hon. William Henry P., one of the Fathers of Confed. ; e model sch., Ottawa and Ottawa coll. inst. ; m 2nd, Marie Helene d late Maj. C. J. Q. Coursol, 29 May 1924; children Lieut J.H.W., Joseph, Hugh, Joan, Barbara; joined Candn. Perm. Forces, 1903; 43rd regt, D.C.O.R. 1903; 59th Stormont and Glengarry regt, 1905; Roy. Candn. 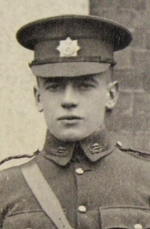 Regt, 1906-35; served in World War as staff capt, bdge. maj., A.A.G. 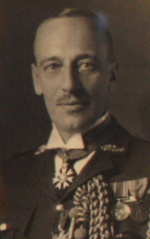 ; awarded Order of St. Anne, 2nd class with swords (Russia); Order of Danilo, 2nd class (Montegnegro); mentioned in despatches twice, regimental duty 1920-24; A.A. and Q.M.G. Mil. Dist. 5, 1924-28; do., 4, 1928-31; do., 11, 1931-34; posted to retired list 1 Apl. 1935; Conservative; Roman Catholic; recreations gardening, fishing; Home 1911 Woodley Ave., Victoria, B.C. POPE, Lieut.-Col. Edgar William, C.M.G. (1919) (retired); b. Ottawa Ont., 29 Sept. 1887; s. Sir Joseph, K.C.M.G., and Henriette P., e. d.Chief Justice Hon. Sir H.T. Taschereau; his paternal g. father, Hon. William Henry P., one of the Fathers of Confed. ; e. Model Sch., Ottawa, and Ottawa Coll. Inst. ; m. 2nd. Marie Helene, d. late Maj. C.J.Q. Coursol, 29 May 1924; five children; joined Candn. Perm. Forces 1903; 43rd Regt., D.C.O.R., 1903; 59th Stormont and Glengarry Regt., 1905; Roy. Candn. Regt. 1906-35; served in World War as Staff Capt., Bgde. Maj. A.A.G. ; awarded Order of St. Anne, 2nd Class, with Swords (Russia); Order of Danilo, 2nd Class (Montenegro); Mentioned in Despatches twice; regimental duty 1920-24; A.A. and Q.M.G. Mil. Dist. 5, 1924-28; M.D. No. 4 1928-31, and M.D. No. 11 1931-34; retired list 1935; Conservative; Roman Catholic; recreations: gardening, fishing; Home: 1911 Woodley Ave., Victoria, B.C.